Jacqueline Wilson, Philip Pullman, Malorie Blackman, Patrick Ness. 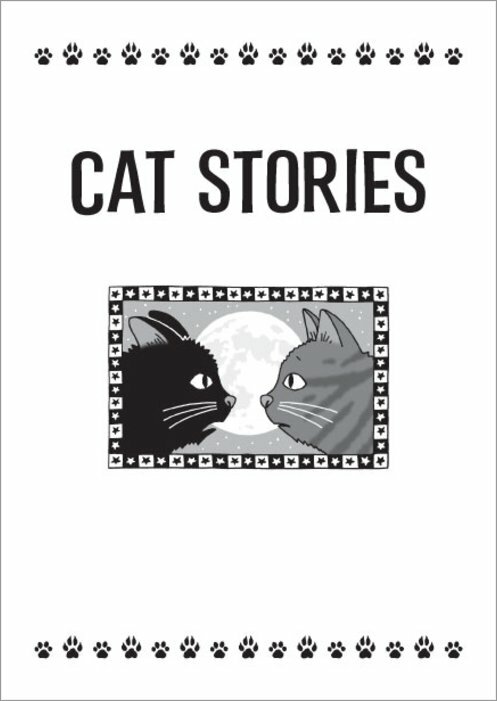 The ultimate pet story anthology. The greatest children’s authors in existence, celebrating animals. Fiction with the purest pedigree. 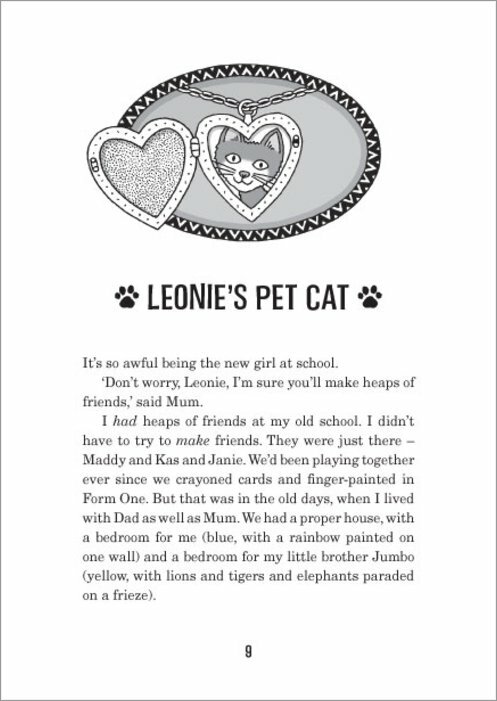 A brand new story by Jacqueline Wilson, called Leonie’s Pet Cat. Extracts from treasured classics. Stories from today’s top writers, like Anne Fine and Patrick Ness. 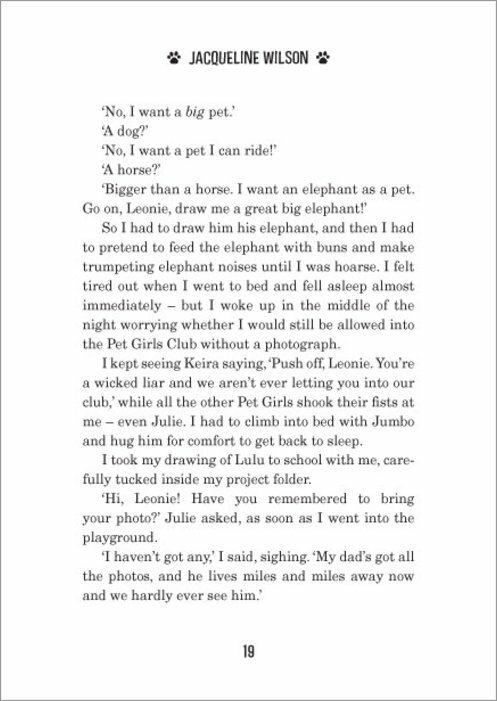 Plus personal new pieces from Michael Morpurgo, Philip Pullman and Malorie Blackman, talking about their own pets. 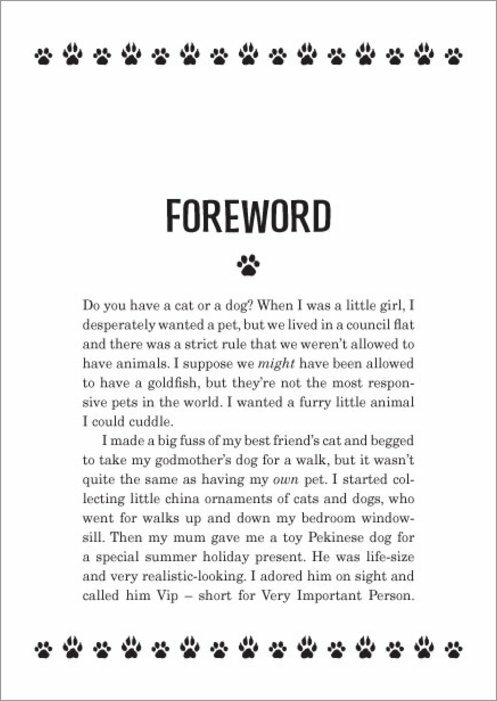 One last thing: this book raises money for the Battersea Dogs and Cats Home. We can’t wait to get our paws on it. Really good book about animals, if you love animals this is the book for you! I have just started to read this book and it is brilliant. 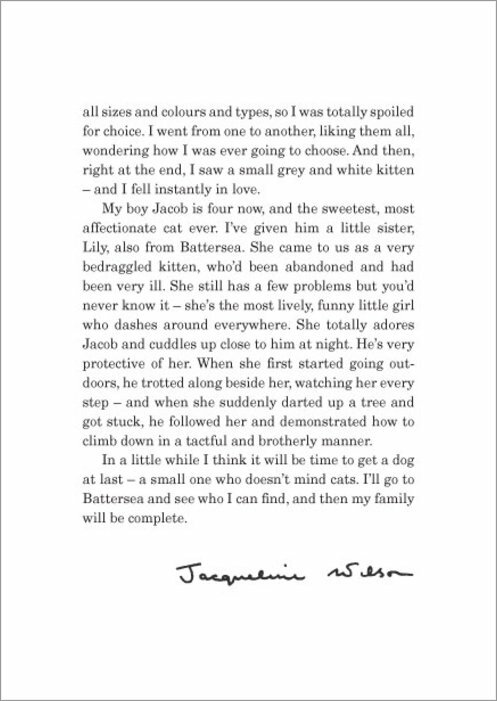 I love this book because its about cats and dogs. Other people must read this book. I have borrowed this book from the library and I especially like the story called Varjak Paw in it. 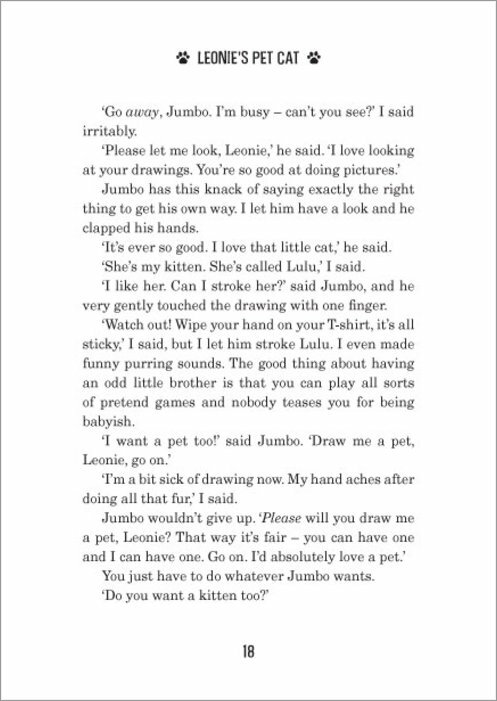 I also loved reading leonie’s pet cat because It’s a family book that anyone can read. I would really recomend it to you. 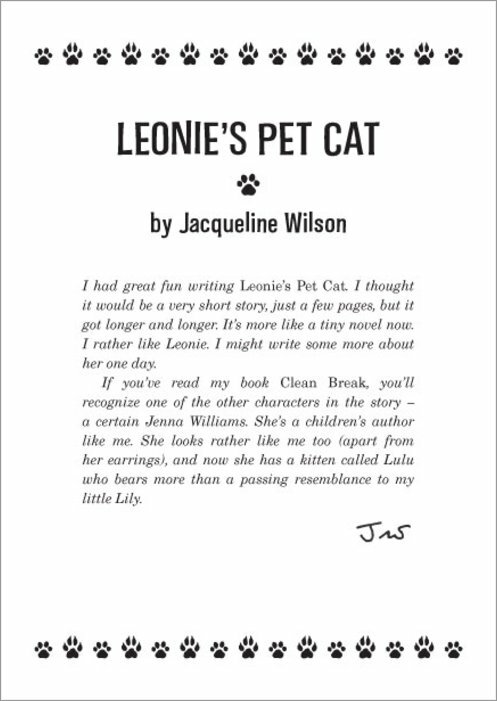 I love Jaquline wilson and her books this one is very good and its nice that she loves battersea cats and dogs home so much i love the way she puts all diffrient cat and dog stories toghter.My fav storie was leonies pet cat. 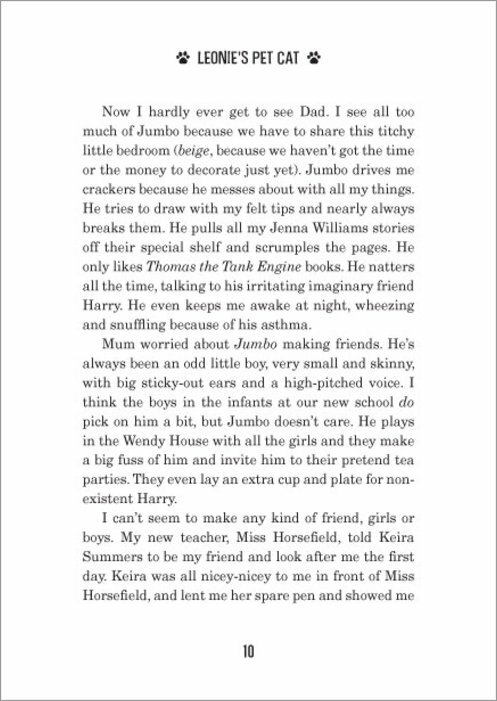 I love Jacqueline Wilson books. There amaz!!! 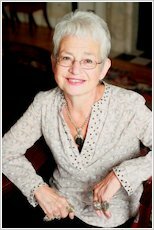 I Love Jacqueline Wilson Books. Especially,This One! Leonie’s Pet Cat was really good. this book was very interesting and i liked the way nick sharrat has drawn the front cover, it is a good design. 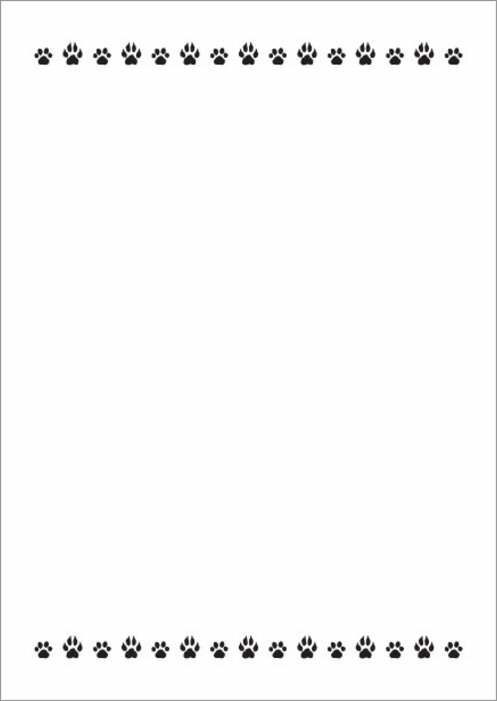 I can’t wait to read this lovely book! Its seems so interesting!!! A great story extract from paws and whiskers. Its so good I want to read the rest of the book. 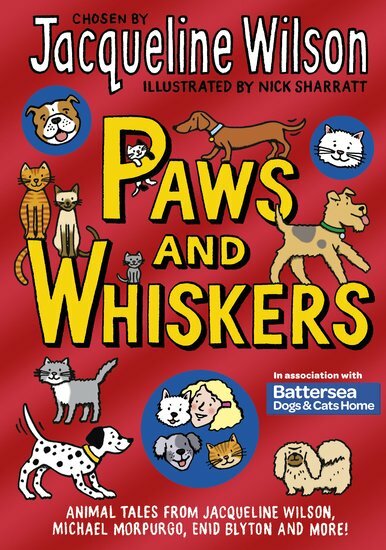 I can tell why its been called Paws and whiskers because the book is based around cats . I’d love to get my paws on. 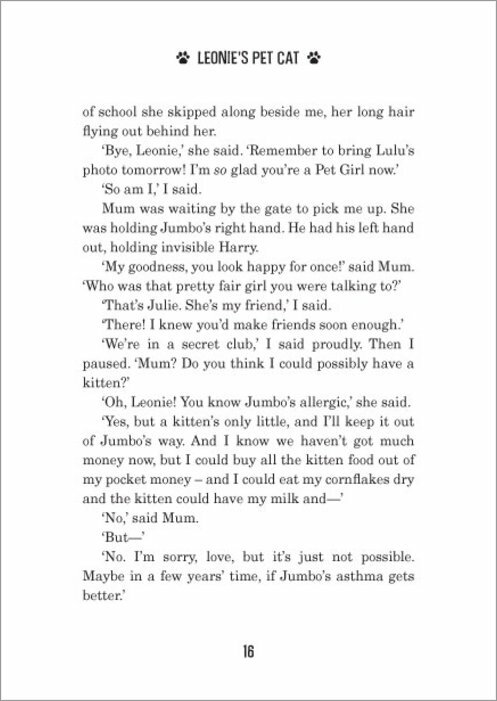 Its a purr-fect story to show how much Leonie wanted a friend because even if she didn’t have a pet she pretended she had a cat because she didn’t want to be alone. 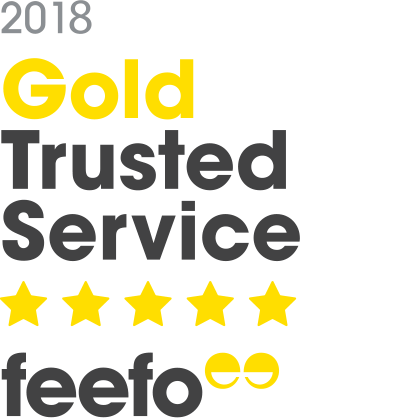 It looks okay and the advert really interested me Also my friends have told me how good it is but I was looking at it in a shop the price was astonishing!!! I thought it was okay but animal lovers will definitely enjoy it. This book is amazing! The stories are incredible and I love the way they’re all written by lots of different authors! 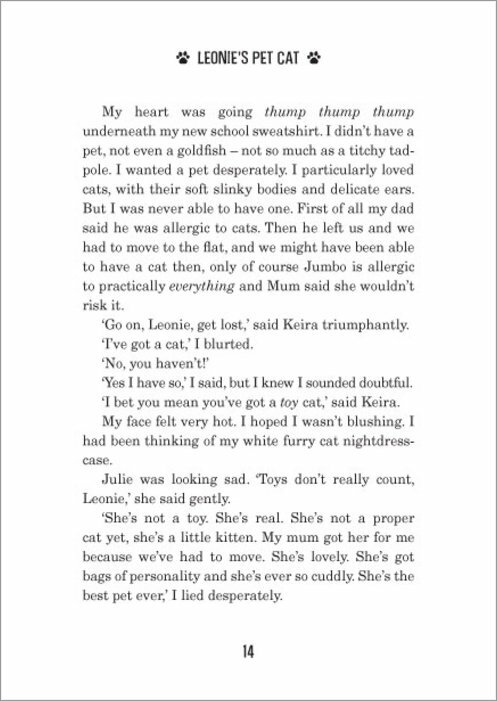 I especially loved the Pet bit where authors wrote about their own pets. I would recommend this book to every single animal-lover on earth!!! This book was amazing packed with different animal storys from different writers. Great for people who love animals!! wow, the combination of such great authors of all time has just left me speechless! 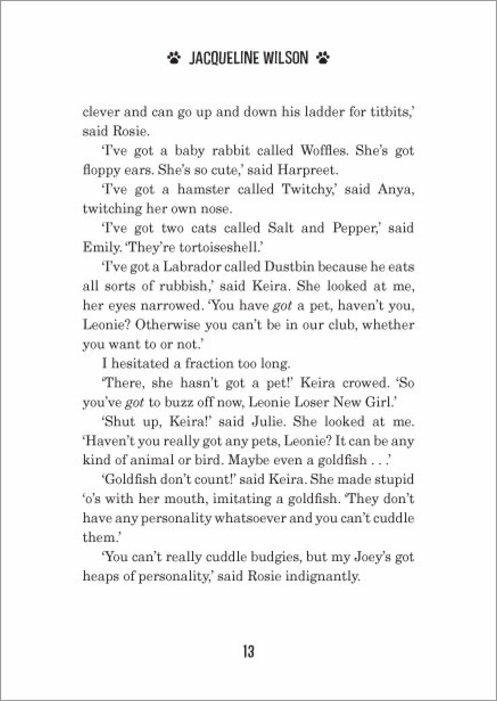 this book is epic it’s got a story from Jacqueline wilson about a girl that wants a pet of her own so she makes one up to get in the pet club. and one called cat wings Malorie Blackman and more awesome stories about cats and dogs made for young children and older children! I loved this because it is my type of a good book and I can’t wait to get my paws on it! I absolutely love cats! I love Leonies cat and this is a fantastic book. Everyone who is a pet liver should read this. This book is great for people who like cats and dogs. It has lots of story’s from other famous writers and jaquline Wilson herself. 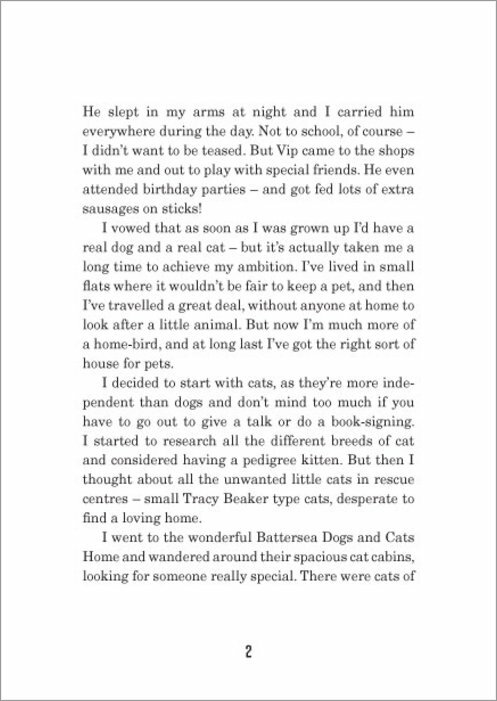 It has the writers own story’s about cats and dogs and it also has bits about there own cats and dogs.